Dad, we need more (recent) pictures of the two of us. I now have a niece!! I’m off meeting her as we speak (hopefully), so in the meantime let me share some summer Saturday moments. I generally consider myself to be a happy person, but there are times when I feel especially happy. Whenever I’m in Disneyland, for instance. This is the face of someone who’s a little too excited to have just ridden Indiana Jones. And summertime in general is another one of those happy times. Once the warmer temps show up and school is out, I shed my sarcastic winter skin (oh, who am I kidding, I’m always sarcastic) and turn into full-time happy Lauren. You’ll like her, I promise. 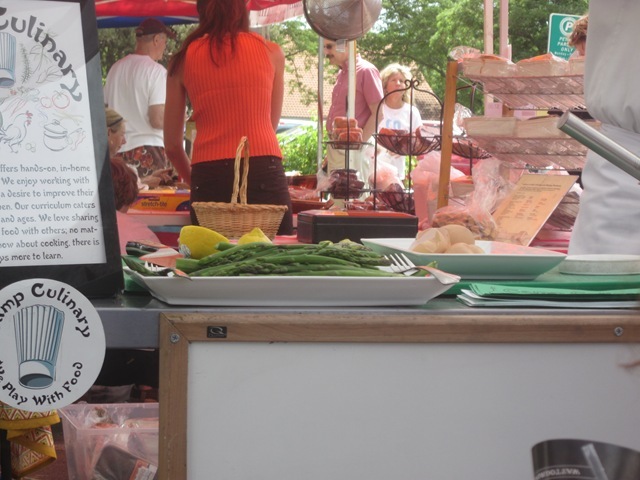 Yesterday, while trouncing around at the Boulder Farmer’s Market, I felt full-time happy Lauren mode setting in. 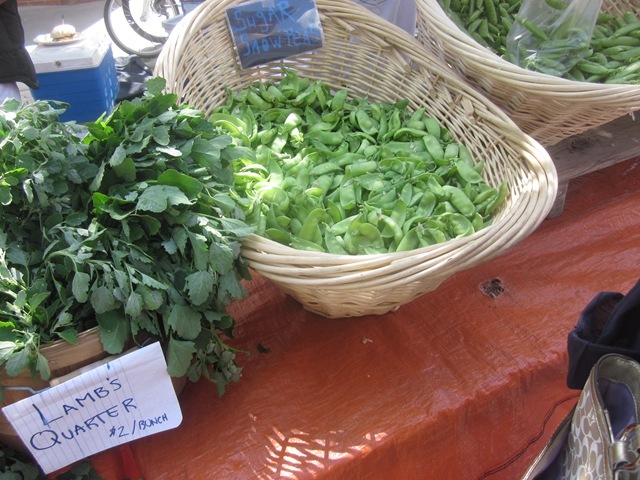 Maybe because locally-grown, fresh, gorgeous produce makes me happy. 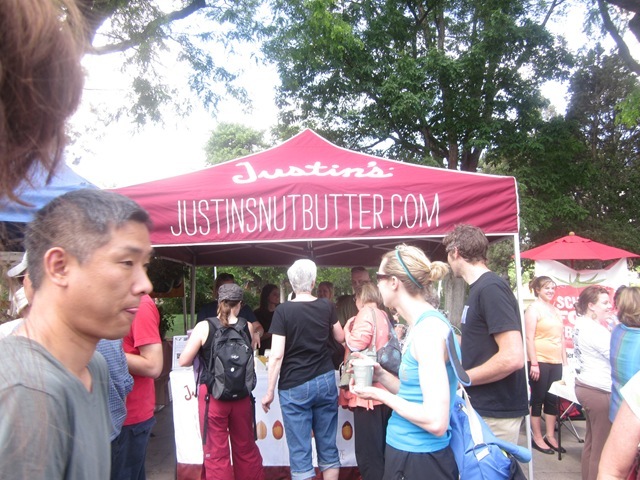 Or seeing the Justin’s nut butter tent. 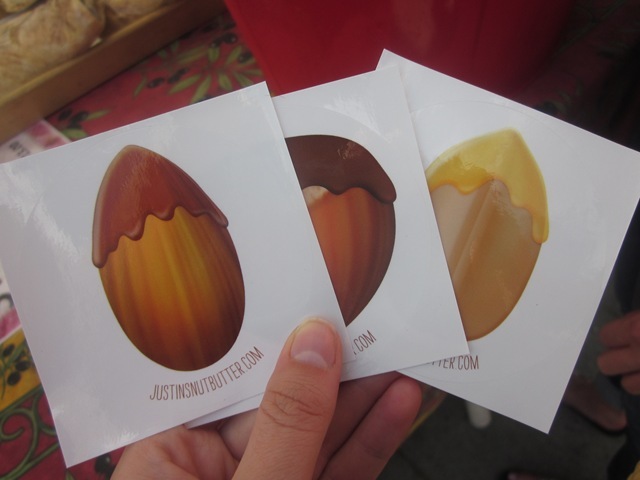 And snagging some sweet stickers. Hello, advanced alliteration! 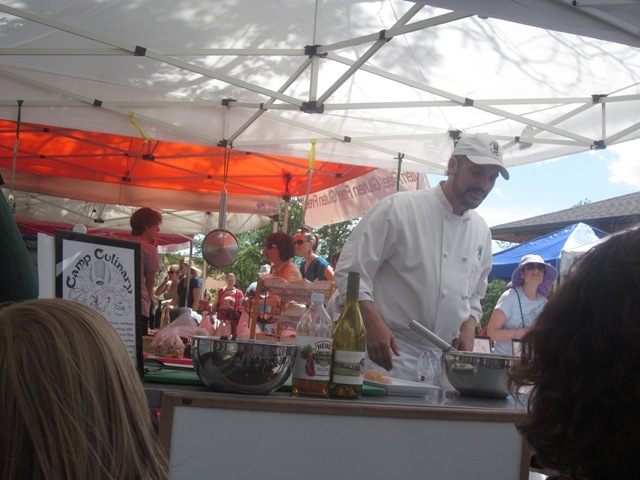 I also got to watch a cooking demonstration! 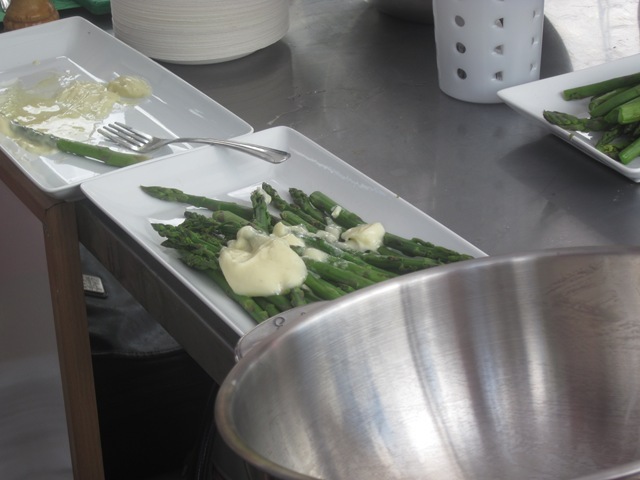 I’ll admit I was not all that excited when I learned that the chef would be demonstrating how to make hollandaise sauce. I know I just posted about not fearing food, but hollandaise scares me. Not because it’s made of butter and egg (fat and cholesterol?? the horror!! ), but because the way it looks really grosses me out. It’s kind of jiggly, no? 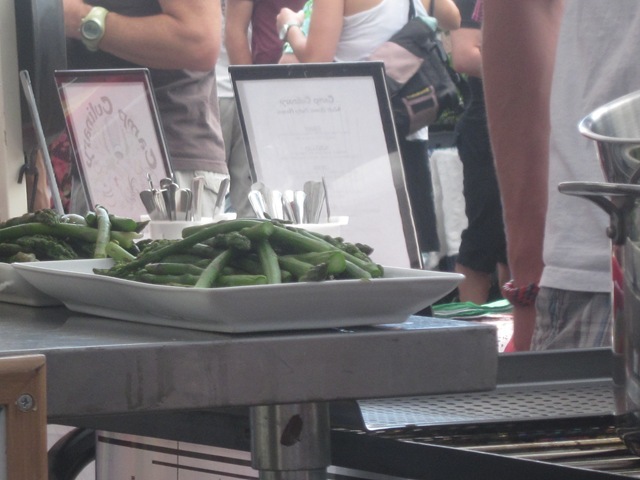 I stayed because blanched asparagus was on the demonstration list as well. 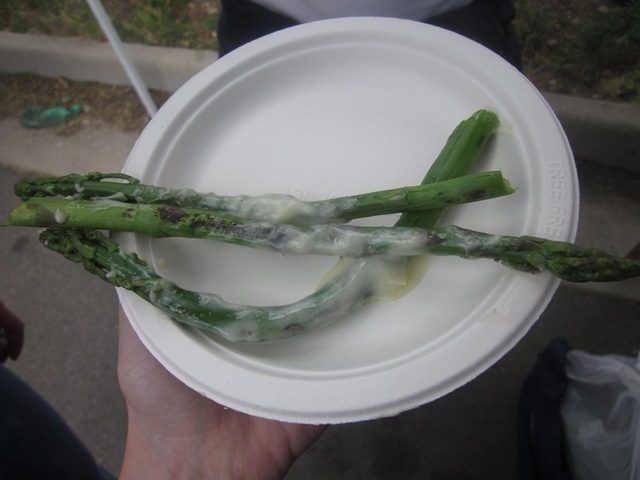 Clearly, I was really into the asparagus. Pass those samples out already, will ya?? When made well, hollandaise can be pretty… okay. I won’t say good, the look of it still scares me. Restaurant hollandaise has never tasted (or looked) like this! 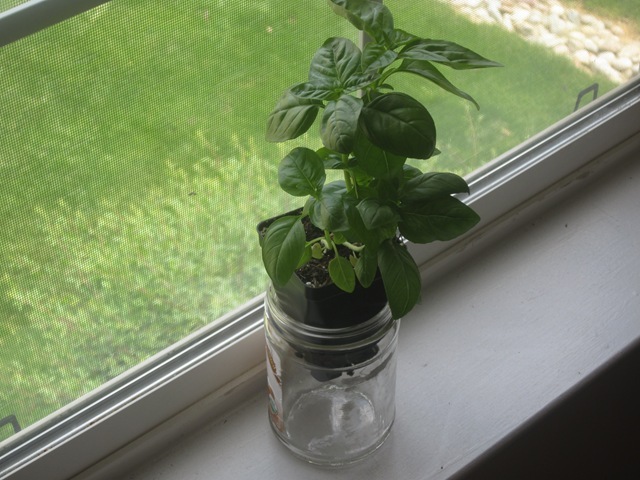 And I can’t even describe the happiness this little basil plant has given me. 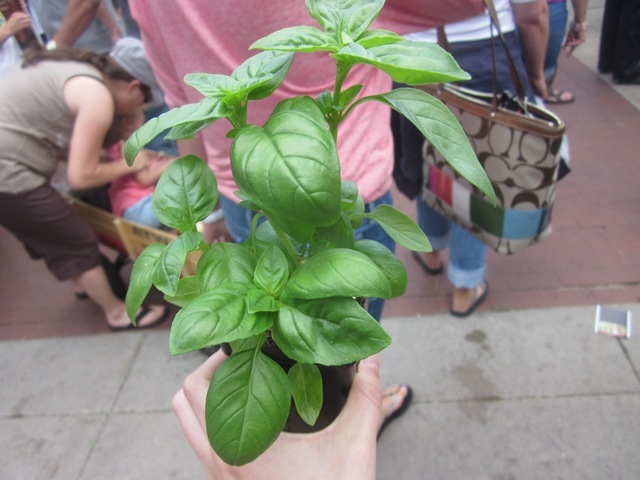 I cannot wait to have fresh basil on hand all the time!!!! Like I said, I’m happy. I took it home to sit in an empty peanut butter jar until I get a real pot. This just further proves how useful empty pb jars are. 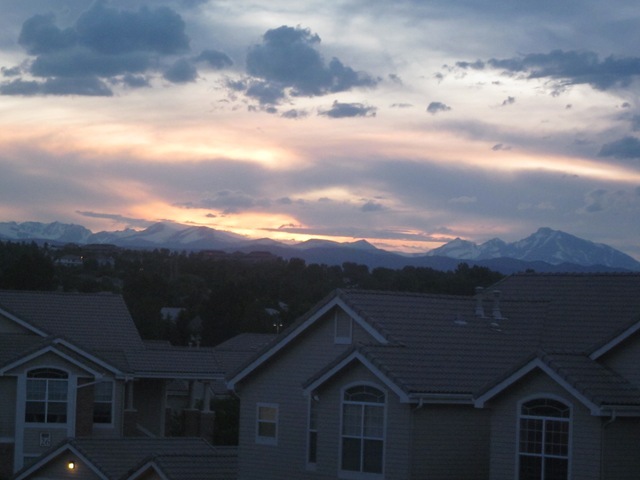 And the day ended beautifully with a nice walk home from work and this sunset. Here’s to a wonderful Father’s Day! What makes you felt truly and deeply happy? I love hearing that other’s are happy! 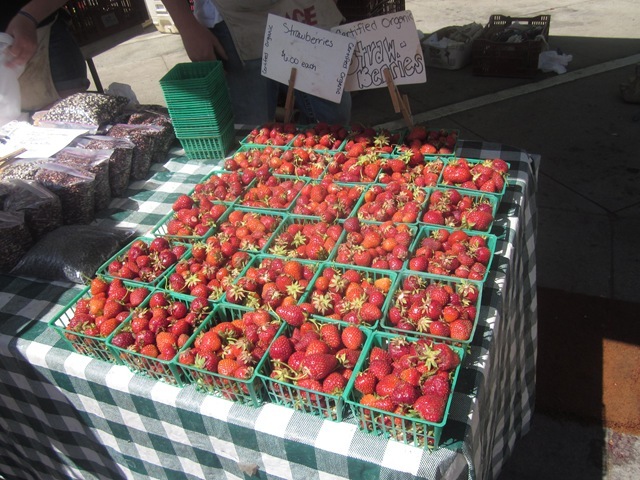 O my look at those strawberries! Happy fathers day to your dad! 🙂 you are both super cute! You and your dad are so photogenic! Haha yay for Disneyland, it’s like about 15min away from me since I went to school in Orange County. Definitely a happy place! Are you going again this summer? What makes me happy is just relaxing, not stressing, and living in the moment while being around people I love. Sadly I’m not 😦 But I never get sick of Disneyland so another trip is always in my future. You’re so lucky you live so close! Haha, yea it’s okay. It is SOO expensive right now! Most of my friends have yearly passes because apparently you save a lot that way. That’s why I love running outside in the summer — it’s free and doesn’t require any equiptment! What an awesome market! 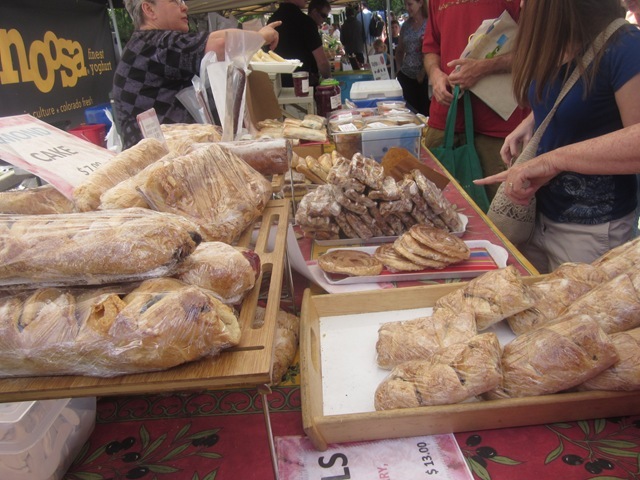 Going to a good market like that would make me happy. 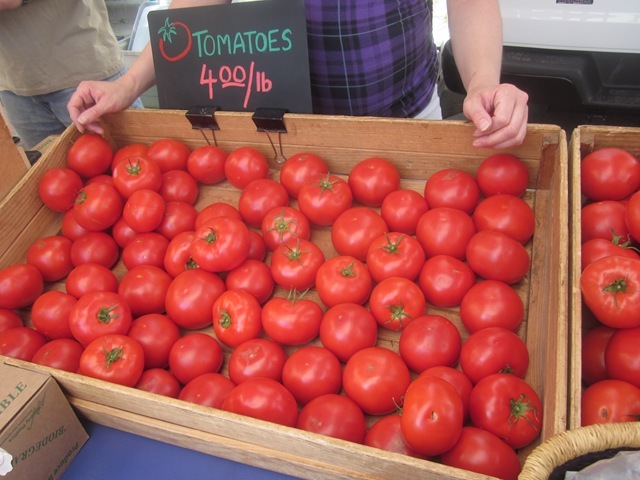 Word on the street is it’s pretty big for a Farmers’ Market. I wouldn’t know since I have nothing to compare it to!